Google's Premium Sponsorships are truly 'premium'. The current minimum investment is $15,000 over a 3-month campaign. If your advertising budget permits, Google's Premium Sponsorships allow you to purchase highly targeted advertising on the most relevant search engine on the Web. No more than two enhanced text links appear at the top of the Google results page whenever the keywords or phrases you have purchased are searched for by a Google user. Google's Premium Sponsorships are charged at CPM, or cost per thousand IMPRESSIONS, and while some keywords can still be had for $15 CPM, $50 to $75 CPM is much more common. Assuming a clickthrough ratio (CTR) of 15%, at say, $40 CPM, your cost just to get the customer to your site, is 26.6 cents per visitor. 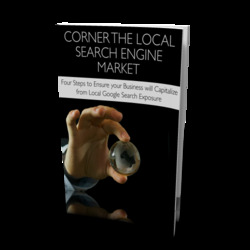 At $75 CPM, it goes up to 50 cents per visitor based on a CTR of fifteen percent. Depending on your average conversion rate and the price of your product, that could prove worthwhile. or not! You do the math.